Who said a delicious afternoon tea was just for grown ups?! 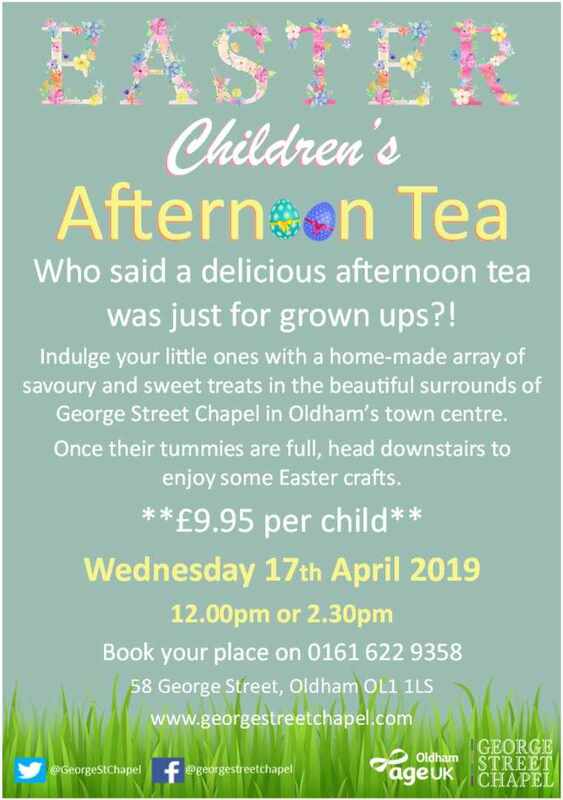 Indulge your little ones with a home-made array of savoury and sweet treats in the beautiful surrounds of George Street Chapel in Oldham’s town centre. Once their tummies are full, head downstairs to enjoy some Easter crafts. Bunny or Chick Sweet Holders - with Pick ‘n’ Mix!